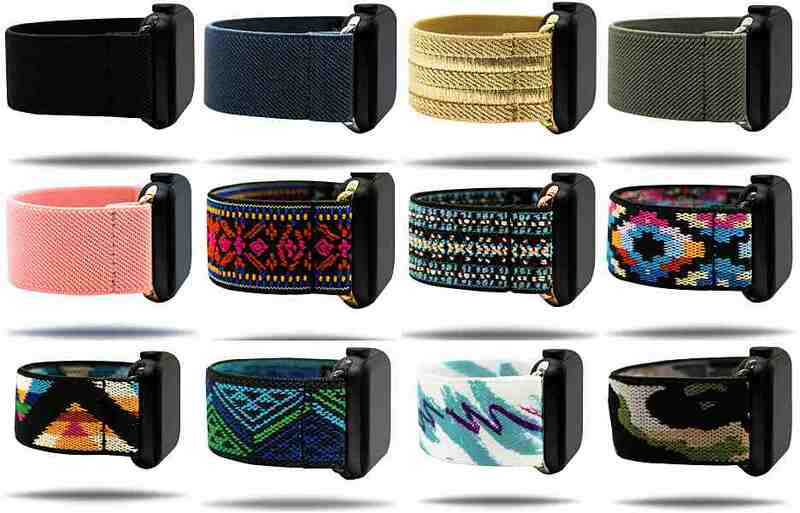 NEWS – There are tons of third-party Apple Watch bands on the market today. But it’s not every day that you come across one as unique as Braxley Bands. These unibody bands are made with innovative ELSTC elastic. They’re fully elastic and stretch over your hand to lay on your wrist. Making them easy to put on and take off. Aside from being stretchy, the bands are moisture wicking, machine washable and according to Braxley’s website, insanely comfortable. Like all other Apple Watch bands, Braxley Bands snap onto the Apple Watch using metal adaptors that slide into the cutouts in the Apple Watch. The bands come in three sizes small for 6-inch wrists, medium for 6.5-inch wrists, and large for 7-inch wrists. For Apple Watch sizes 38mm or 40mm and 42mm or 44mm. Currently, the Braxley Bands are available in 12 different designs including solid color styles like Luxe, Blackout, and Revolver or more elaborate designs like Primrose, Aloha, and Recon. All are available from the company’s website and are priced at $29.99. This is my third Braxley band in three years. I love them. But a major caveat is the elastic only lasts about a year and then starts to stretch out. I keep buying them because they’re great but just keep in mind, it will only last for 1 year.